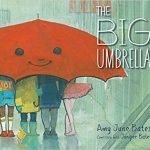 Written by a mother and daughter duo, this book tells the story of an umbrella that stretches itself wider and wider to protect large crowds from the rain. 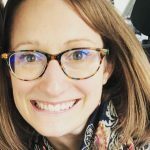 It is a great introduction to the concepts of generosity and inclusivity, and fits well within the theme of social and emotional learning that seems to be growing in popularity. 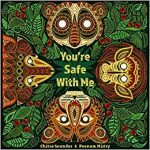 You’re Safe with Me is a stunning beautiful bedtime story written by Indian-born author Chitra Soundar and illustrated by Poonam Mistry. Baby animals are anxious about the night sky and impending storm, and their mothers comfort them saying, “you’re safe with me.” Inspired by Indian folklore, the illustrations are rich and detailed and are sure to mesmerize kids as much as adults. 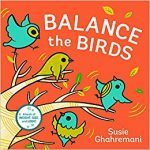 Balance the Birds is the book you didn’t know your child needed to learn about weight and balance. A flock of birds lands on a tree, and as the birds fly away or move to another branch, the tree sways. You may recognize Susie Gharemani’s signature cartoonish artwork from her popular, Stack the Cats. A young girl loves digging through her Mimi’s purse – she’s never sure what treasure she will find! Unpacking the purse becomes a meaningful ritual celebrating their friendship and family. 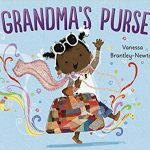 Vanessa Brantley-Newton has penned a sweet and quirky story capturing the beauty of being a grandchild. The impressive illustrations help carry the narrative with their vivid depictions of joy and curiosity. 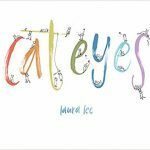 The picture book for cat lovers everywhere! Miki is a child who loves cats, and sees cats wherever she goes. With clean and sharp lines, the illustrations invite the reader to search out the cats hidden in the drawings. This “Where is Waldo” like game creates a fun reading experience for children of all ages. The title, Festival of Colors, is such an apt description of this vivid book about the Indian festival Holi. 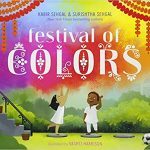 The authors describe Holi as a symbol of “inclusiveness, new beginnings, and the triumph of good over evil.” Two children describe the rich colors emanating around them during the festival, making it a perfect choice for a color storytime or to introduce color vocabulary. 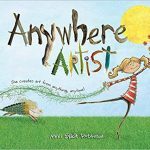 Anywhere Artist is a celebration of creativity and imagination. A young girl confidently moves around in the world selecting objects to make art. The vocabulary is rich and unexpected (“lichen,” “driftwood,” “ringlet”) and accompanied by mixed media illustrations that are as clever as they are charming. 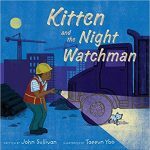 Based on a true story, Kitten and the Night Watchman begins with a night watchman befriending a cat during a late night shift. The cat becomes a faithful companion and ultimately a family pet. Taeeun Yoo’s soft illustrations perfectly complement the gentle tone of the story. The construction site vocabulary will appeal to the kids excited to learn about trucks and machinery. 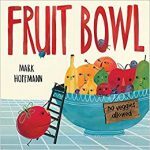 Tomato has to fight for his place in the fruit bowl in this hilarious story about conflict. Through passionate dialogue supported by scientific facts, the fruits in the fruit bowl assess their own assumptions about who belongs with them. 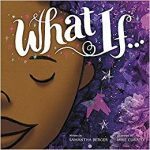 Nothing can stop the protagonist of “What If!” As she wonders how she would express herself if her pencil were taken away from her, she realizes that she has many tools around her and the stretches of her imagination are limitless. The mixed media illustrations are striking and perfectly represent the creativity that bustles within the mind of a child. What books did you love from 2018? Let us know in the comments below. 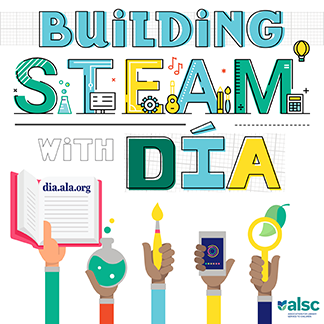 This post addresses the following ALSC Core Competency: Knowledge Curation and Management of Materials. Today’s guest blogger is Katherine Hickey. 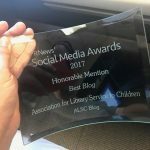 Katherine is a children’s librarian at the Oklahoma City Metropolitan Library System.